The Golden George prize was awarded to director Ivaylo Hristov by the president of the jury Jean-Jacques Annaud, TASS news agency reports. The movie, which was in competition with eleven other films for the main prize, tells the story of a secondary school student and his life as a loser in a small provincial Bulgarian town. 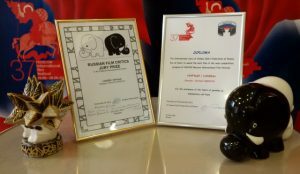 In 2008, the Bulgarian movie “Zift”, directed by Javor Gardev, was awarded the second prize of the festival – Silver George for Best Film and Best Director at the 30th edition of MIFF.